Check out our Colorado Craft Beer Map – a helpful tool to easily find local breweries across Colorado. Simply type in the brewery name in the search bar, or sort by city/region in the drop down. We hope this helps all of your wildest beer dreams come true. Cheers! Ute Pass Brewing Central Mountains,Colorado Springs 24 Woodland Valley Road, Woodland Park, CO 80863, U.S.
Prost Brewing Company – Denver, CO.
Prost Brewing Company is located in the Lower Highland Neighborhood (LoHi) in Denver, CO. The brewery is just west of I-25 on 20th Street, directly across the highway from Coors Field. Prost Brewing is near a handful of other breweries, but the types of beers they brew make them stand out from other brewers in the area. Prost specializes in German-style biers. Not only do they specialize in German-style biers, they brew in German equipment that was brought over from a historic German brewery. 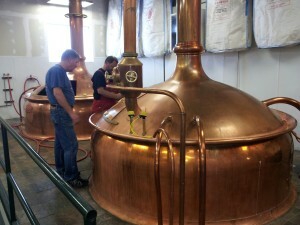 Prost Brewing Company opened its doors on August 23rd, 2012. The name Prost, is a German word that translates to ‘To your health’, or ‘cheers’. Prost’s name, equipment, and ingredients all add up to a distinct all-German style that is quite unique in the growing Colorado craft beer scene. Prost adheres to what is called the ‘German Purity Laws’, which are a set of laws that German biers should be brewed with. These laws started in 1516, and were designed to ensure bier contained only high-quality ingredients. The laws protected the public from poor standards, and potentially lethal, beverages. Reinheitsgebot, as the laws are called in German, also brought about a standardization in production well ahead of its time. Foreign brewers who wanted to enter the local market also had to stick to the law and so its influence began to spread far and wide. The laws have changed over time, but they still keep brewers focused on creating quality biers with quality ingredients. Prost Brewing has a plan and sticks to that plan. They want to provide the best German-style biers that can be found locally. They don’t care to brew big beers, or beer that does not fit in the German-style. 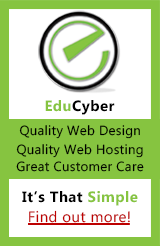 When you do something well, why not stick to it? That is exactly what Prost Brewing has done, and they have quickly made a big name for themselves with Colorado beer drinkers. Bill Eye is the Head Brewer at Prost, and is a veteran Colorado brewer, with 16 years of professional brewing experience. Prior to joining Prost, Bill was the Founding Brewer at Dry Dock Brewing Company. Bill studied brewing in Germany, and developed a love of German-style biers. Bill’s experience and education played a major part in forming the way Prost brews, and the way the run their taproom. I had the pleasure of sitting down with David Boone (he goes by Boone), VP of Sales & Events for Prost Brewing. Boone was happy to share the story of Prost, and of course the reason why they have grown so fast. It’s the fresh, great-tasting beers they serve from the tap. Boone has 13+ years experience in the brewing industry, and as he describes it, he “has the best job in the world!” Boone is yet another story I’ve heard of someone that didn’t set out to be in the brewing industry, but once they experienced it, they couldn’t get enough. Boone was actually a high school science teacher for five years prior to returning to the craft beer industry. The last brewery Boone was involved with prior to joining Prost was a four year stint with Bristol Brewing Company in Colorado Springs, serving as the State Sales Manager. To say Boone is passionate about Prost’s German-style biers is a massive understatement. He is truly a great ambassador for the brand, and will go out of his way to share Prost’s story with you. I met Boone at the Breckenridge Beer Festival and he was happy to take a few minutes to talk about the brewery. 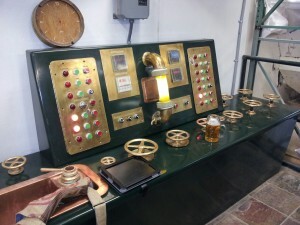 The original control panel, still used today! 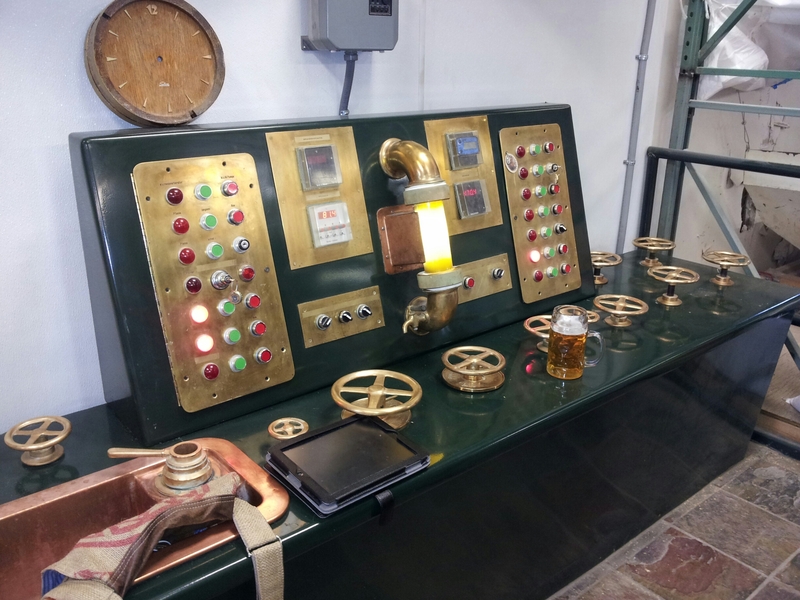 The story of the equipment Prost Brewing Company uses is really cool. Prost brought over brewing equipment from a city in Germany called Grafenau. The equipment was originally built in 1963 by Ziemann GmbH, and installed at the Bucher Brau, where it was used until 1984. In 1984, it was overhauled and sold to Brauerei Hummer of Breitengubach, Germany, a village in the Franconian region of Bavaria. Brauerei Hummer started brewing beer in the Franconian village of Breitengubach in 1642. The brewery served the town for over 350 years until the spring of 2011. At that point, the brewing equipment was purchased by Prost Brewing Company, and brought over to brew German-style biers for the people of Colorado. This sounds easier than it actually was, the process was a major undertaking. Bill Eye had to disassemble the equipment to package it for transport. He then had to reassemble it in order to be able to use it. It’s a good thing Bill studied brewing in Germany because in order to use the equipment, you have to be able to read German. Prost brought in German equipment for brewing, then added massive fermenters and lager vessels to complete their brewery. The lager vessels are actually converted dairy tanks, and hold 4,000 gallons each! You really have to see them in person to understand how large they really are. 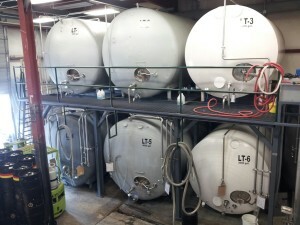 Once Prost brews their biers, they will sit for between 4-8 weeks depending on the style. Ales go to the lager vessels for 24 days to complete the aging process. Prost is proud to brew with German equipment, and all German hops and malts. Prost Brewing Company offers great biers, and do so in a way most brewers would never try. Prost distributes their biers only in 64 oz. growlers, and kegs. There are no 6-packs of bottles, cans or 22 oz. bombers. You can visit the Prost taproom and get a fresh pour from the tap, or you can visit many taprooms, restaurants and bars around the state. You can also buy a growler from a quickly growing number of stores around the state. You will not miss the site of a Prost growler in the beer case at a retailer. It is uncommon in most stores to see growlers, and this is a way Prost stands out from other brewers. The growlers include labels that incorporate the colors of the German flags from the regions of Germany the bier styles come from. Another unique aspect to Prost’s growlers, is they offer a recycling program. If you bring back a growler to the retailer, or directly to Prost, you will get $1 off your next purchase. Prost is able to distribute growlers because they use a method of packaging where they heat flash shrink-wrap the top, which creates a seal that can last 60-120 days, depending on the style of bier. Typically beer in growlers will lose freshness in less than a week. Prost Brewing has a nice, clean taproom, and offers a fun family friendly environment. Something of note is that Prost has a program for Rockies fans. If a fan brings in a ticket stub for that day’s game, they can park for free, and get a 1/2 price beer before and after the game. Coors Field is a short walk, so if you plan to enjoy a Rockies game, be sure to head over to Prost first. Prost also offers live music on Thursdays for those that enjoy fresh beer and music. There is no kitchen at the taproom, but they do offer Baker Street soft pretzels. Tony P’s, a local Italian restaurant delivers exclusively to Prost. Patrons at Prost are also encouraged to bring in their own food to pair with a fresh German style bier. I want to thank David Boone, Bill Eye, and all of the other partners for having me at Prost Brewing, and for the tour of the brewery. They truly are a unique brewery, and brew some outstanding biers! I really enjoyed the Prost Pilsner, which honestly might be the smoothest beer I’ve ever tried. It is light, and refreshing, especially on a hot day. My favorite bier of the day was the Maibock, which is a light, crisp and clean Spring bier. The Maibock is a seasonal brew, so it is not always on tap at Prost. I would highly recommend heading down to try this awesome bier! Beer List: There is an Altbier in the works, as well as a Kolsch seasonal, and the Maibock is currently available for a limited time. The Altbier may become another staple in addition to the three staple biers Prost currently has. Altfränkisches Dunkel Bier – Brewed with a 350 year old recipe! This is a dark amber lager made in the world famous brewing area around Bamberg, Germany. They are characterized by their smooth malty flavor. The Franconian version differs from the dark lagers of Bavaria by being slightly stronger and drier. Dunkels have a distinctive malty flavor that comes from a special brewing technique called decoction mashing. We are reviving the Altfränkisches Dunkel Bier from the Hümmer Brauerei in Breitengüßbach, the brewery whose brewhouse now resides in Denver, Colorado at Prost Brewing. Prost Pils – This is a northern German staple and our flagship beer. This is a crisp, pale and dry interpretation of the style. Well hopped with noble German varieties and a special strain of yeast from a German monastery. Prost Pils is pale gold in color and capped with a thick, brilliantly white, dense collar of foam. With the first sip spicy hop flavors come to the forefront. As the hop begins to fade, the wonderfully soft imported pilsner malt is revealed. The finish, with its herbal, pleasantly lingering hop note balanced by a rich malt counterpoint, demands another taste. Weißbier – With flavors of banana and clove this Bavarian specialty is well known within our market. Our head brewer has won a number of medals with Hefeweizen including: Silver in 2009 and 2010 and Gold in 2011 at the GABF in the Southern German Hefeweizen category. As well he won the best of show with Hefeweizen at the Colorado state fair in 2011. Marzen – Oktoberfest (Seasonal) – Marzen is a lager, orange/reddish in color, the style is characterized by a medium to full body, malty flavor and clean dry finish. Typically served in a Maß. 5.6 ABV (alcohol by volume) 22 IBU (international bittering units). Seasonals Include: Marzen (Oktoberfest Lager), Kolsch, Export Lager, DoppelBock, Eisbock, Bock, Maibock, and any other German bier Bill can pull out of his sleeve!